Ryo spent 10 years in the Philippines prior to studying International Business and Economics at Sophia University in Tokyo. 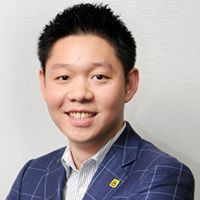 Ryo has been with J-Seed Ventures since 2005, participating in several partner companies where he frequently assisted in starting up the businesses, marketing and business development. He has experience in the mobile/smartphone, online marketing and ad businesses. In 2008, he was in charge of starting up an iPhone ad network and produced an iPhone app at TrafficGate (currently LinkShare Japan K.K., a Rakuten, Inc. group company). Ryo also has experience in starting up his own venture, a mobile marketing company. Most recently, served as CEO for Hailo Japan, where Ryo lead the fund raising (first entity globally to independently raise money) and changed the business model of the company in heavily regulated industry. Ryo is currently running Tinder Japan, angel investor in several startups and serves as a advisor to a mobile marketing solution company in China. He loves working with startups and in addition to being an avid blogger, he is a serious networker who is constantly meeting people and hooking them up with others.